How often has the golf course and its landfill scandal, agreed and given planning permission by WLBC itself, been visited by members and officers, and of course Rosie Cooper MP who met and discussed development of this great borough facility with the Leisure Trust and Serco contractor? 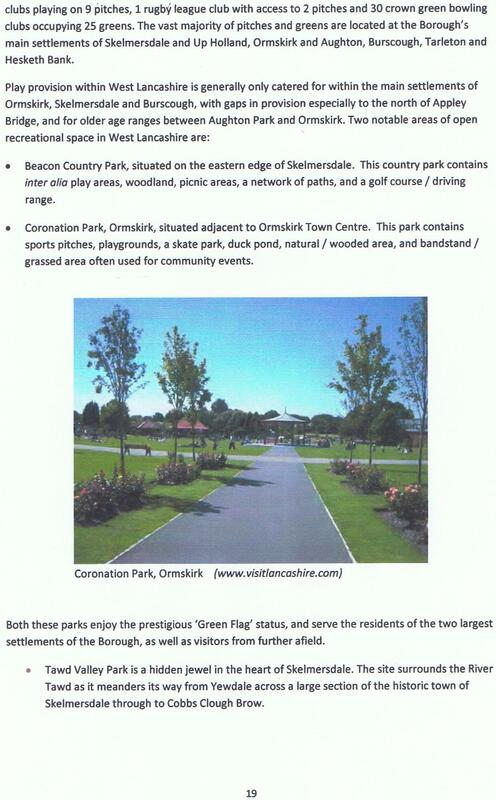 Page 19 of the document states “Play provision within West Lancashire is generally only catered for within the main settlements of Ormskirk, Skelmersdale and Burscough, with gaps in provision especially to the north of Appley Bridge, and for older age ranges between Aughton Park and Ormskirk. Two notable areas of open recreational space in West Lancashire are: Beacon Country Park, situated on the eastern edge of Skelmersdale. This country park contains inter alia play areas, woodland, picnic areas, a network of paths, and a golf course/driving range”. 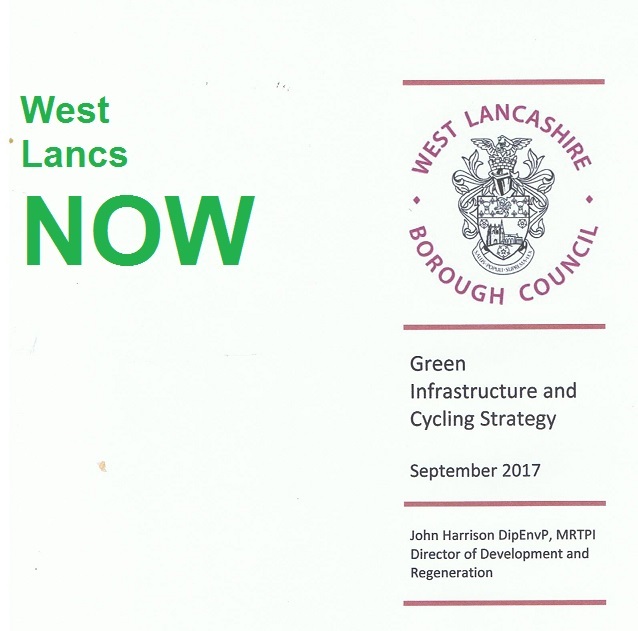 “The preparation of the Green Infrastructure Strategy and Cycling Strategy has been resourced through the Planning Service’s revenue budget. Whilst the Strategy identifies capital projects to meet the Council’s aspirations, this report does not commit the Council to the funding of any of the projects. Funding of these individual projects will need to be determined on a case-by-case basis as external funding opportunities arise. In particular, while CIL will be one source of funding, there will need to be a wider consideration by the Council of what to prioritise CIL funding to given the wide range of infrastructure demands that will wish to draw from the finite CIL monies likely to be collected. However, development opportunities in general may well provide opportunities to lever in funding which CIL or other funding sources can match in order to deliver projects within this Strategy. “Green Infrastructure refers to the connected network of open spaces, green corridors and inland waterways around us and can deliver a wide range of benefits. These include providing wildlife habitats, contributing to an attractive environment and creating potential benefits for health and well-being. It can also provide opportunities for sustainable forms of travel and leisure, particularly walking and cycling”. What is so sad about this report is the lack of golf being mentioned as a form of leisure and health while much is made of cycling, when surely both are equally important? By chance I received a letter from a long time and now elderly member of the golf course in response to my articles. He wrote “You tell us what is going on at Beacon Park Golf Course. What I can’t get my head round is councillors came to the Beacon Golf Course, saw the mess, and were never to be seen again. 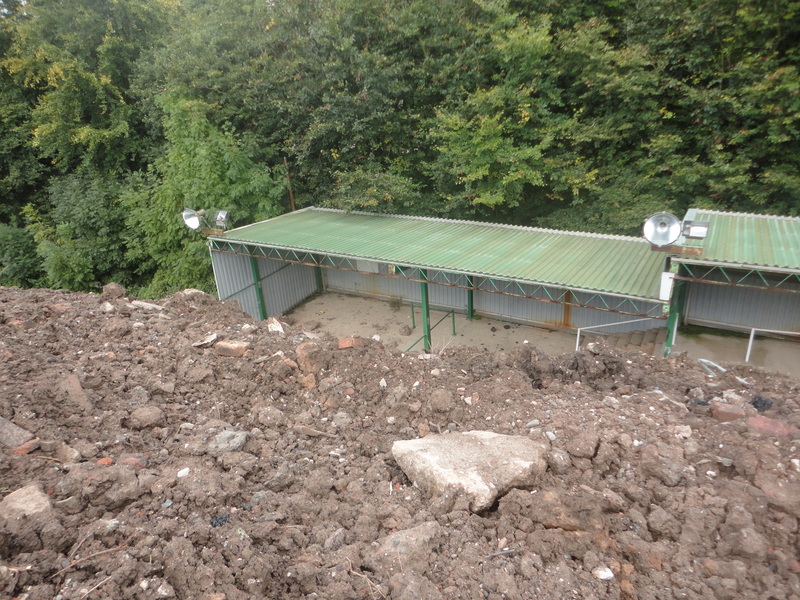 Cllr Gagen said she would try to get the Borough Cabinet meeting held at the club house to discuss the landfill. That must be over 2 years ago but never to be seen again. Then we had Cllr Terry Aldridge up there and the same again at least 18 months ago never to be seen again. We had our MP Rosie Cooper who sat in at the AGM of the Leisure Trust and the West Lancs Council, and last but not least Serco. “Rosie Cooper had seen what had gone on with the tipping and the mess they had made especially with the driving range which is a total mess, worse even than the so called 9hole academy course. When Rosie Cooper heard that all the royalties from the tipping were going into Serco accounts and not the Trust or the Council accounts she was far from pleased. That was more than 12 months ago and low and behold never to be seen again yet you see them in the Champion every week.